When the protective discs that protect your spine break down and press on your nerves, it can be difficult to move without pain. 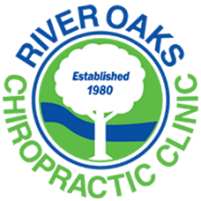 At River Oaks Chiropractic Clinic in Fort Worth, Texas, the dedicated chiropractors can address the root cause of your pain, realigning your spine to improve your functionality and overall health. The team offers a variety of patient-centered therapies, including acupuncture, to alleviate pain quickly and effectively. Learn more about treatments for bulging disc pain by calling the office today and scheduling an appointment. The cushioning discs between each of your spinal vertebra absorb the impact of your movements to protect your spine health. When these discs wear out due to age or become damaged by disease or injury, they don’t provide your spine with sufficient support. A bulging, or herniated, disc happens when the gel-like center of the protective disc ruptures through the tough outer area of the disc, putting pressure on the nerves in your spine. This nerve compression can result in chronic pain and limited functionality in your neck and back, making it increasingly difficult to walk, sit, or stand for long periods of time. Depending on the site of the damaged disc, you can experience pain, weakness, and/or tingling sensations in areas surrounding the affected spinal nerve. Pain and other symptoms commonly affect the upper or lower back and can radiate down into your arms and legs. Pain can intensify with sudden, unexpected movements, such as a cough or a sneeze. When bulging disc pain or numbness interferes with your daily activities or your job, you should seek a chiropractic evaluation to address your symptoms. What treatments are available for bulging discs? To address bulging disc symptoms, the chiropractic team at River Oaks Chiropractic Clinic offers spinal decompression to alleviate nerve compression and associated symptoms. Using manual techniques to realign your spine, your chiropractor can reduce pain and inflammation in your spine to increase your functionality. During the procedure, you shouldn’t feel any pain but you will experience a deep stretch in your back and neck. Based on your medical history and the severity of your pain, you might need additional adjustments to achieve optimal results. Acupuncture is also a great option for alleviating spine-related pain. Your River Oaks Chiropractic Clinic provider inserts slender needles at different points on your body to increase blood flow and help your spine heal more effectively. Will I need surgery for a bulging disc? The goal of chiropractic treatment is to help you avoid the need for surgery. By realigning your spine and taking pressure off the nerves, you can improve your mobility and range of motion without surgery. Routine chiropractic care can further enhance your functionality to prevent a return of your bulging disc pain and related symptoms. Your River Oaks Chiropractic Clinic provider can recommend at-home exercises to strengthen the muscles that support your spine to reduce further injury. Schedule a consultation for bulging disc pain today by calling River Oaks Chiropractic Clinic or using the online booking feature.